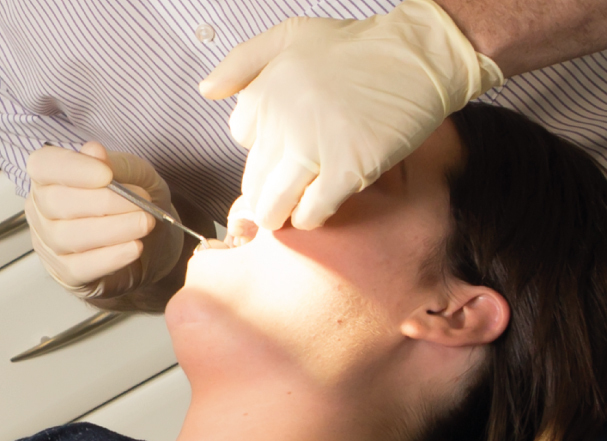 The first appointment is basically a consultation, during which you discuss with Dr Mulgrew what you don’t like and what you would like to change about your smile. Your bite and your teeth are subsequently assessed and all necessary measures, photographs, x-rays and impressions are taken. Dr Mulgrew will then move on to explain the options available to you, and the risks and benefits of each of them. He will also give you an idea about how long the treatment will take as well as about the total investment involved. It’s up to you from there: all you need to do is decide whether and how you wish to proceed. Removable Braces. Some patients require a removable brace as part of their treatment. These are not retainers! After the removable brace is fitted, it may require some adjusting to make sure it fits comfortably in the patient’s mouth. The patient is then trained how to take the brace in and out and given instructions on how to wear the brace and what to expect. Fixed Braces. After all the preliminary work is done, your brace will be fitted. This is a longer appointment which will involve gluing brackets onto your teeth and placing an orthodontic archwire to gently guide your teeth into the desired position. Elastics are tied over each bracket to hold the wire in place. These elastics come in many colours, so if you’re feeling particularly fashionable you can jazz up the brace with the colour of your choice. Subsequently, you will have to visit us every 6-8 weeks to have you braces adjusted. These are not your regular ‘check-ups’. It is at these appointments that the magic actually happens! Wires and elastics may be changed, so, if desired, you can opt for a new colour. If you can’t make to an appointment, please cancel it and reschedule it at your earliest convenience! Missing even just one of these appointments may significantly extend your treatment time. D-day is here! Your braces are finally removed and your lovely straight teeth are cleaned down and unveiled! We’ll take photos – so prepare to smile big! If you like, we can give you the before and after photographs, so you can see the incredible difference for yourself. Prepare to be stunned! There’s still some work to be done. It starts with a set of retainers you’ll receive. These must be worn every night for the first year after your brace is removed. After that, if you want your teeth to stay exactly the same, they must be worn few nights a week on a long-term basis and replaced when they inevitably wear out. Top tip: if you wish to whiten your teeth just pop some whitening gel into your retainers! Voilà: perfectly straight cover-worthy white teeth! We’ll want to see you again 4 to 6 months after the unbonding, just to make sure your teeth haven’t moved and your retainer still fits. Then it’s all over to you! We’ll be here: always available should you need any further help.